Mobile DJ System - Everything you need! Computer DJ System - All you need to DJ at Weddings, Reunions, Partys, or even School Dances. 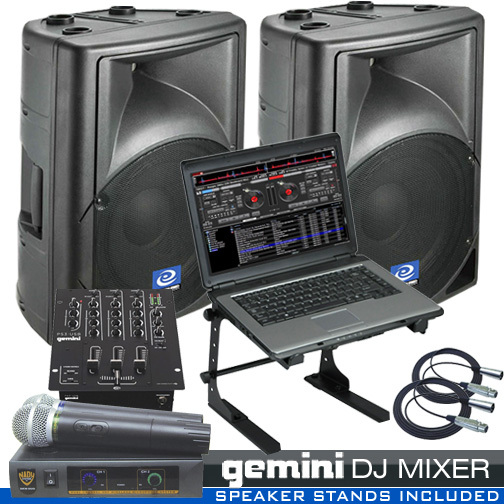 This package includes a DJ Mixer, Dual Wireless Mics, Two Powered 15" DJ Speakers, a Laptop Stand, Speaker Stands and all the wires you need. Add your own laptop with DJ software. 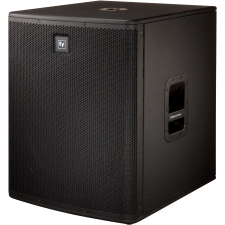 The Gem Sound PXA115T-USB has an 15" woofer, high compression driver and 1000 watts of peak power. 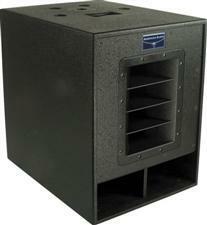 The built in control panel has bass and treble controls and 1/4" and XLR mic inputs with gain control. 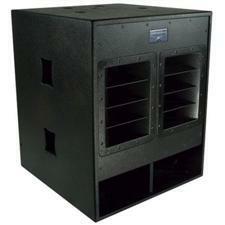 It also has 1/4" and XLR line outs and is switchable from 110/230v. . This affordable package has you ready to go for any gig. Order now!